The best part of this bread is that there is no waiting for it to rise. Just mix and bake. Let’s begin with the browned butter. Heat the margarine in a small sauce pan until it becomes golden brown. Watch carefully, as it can go too far very quickly. Set aside to cool. 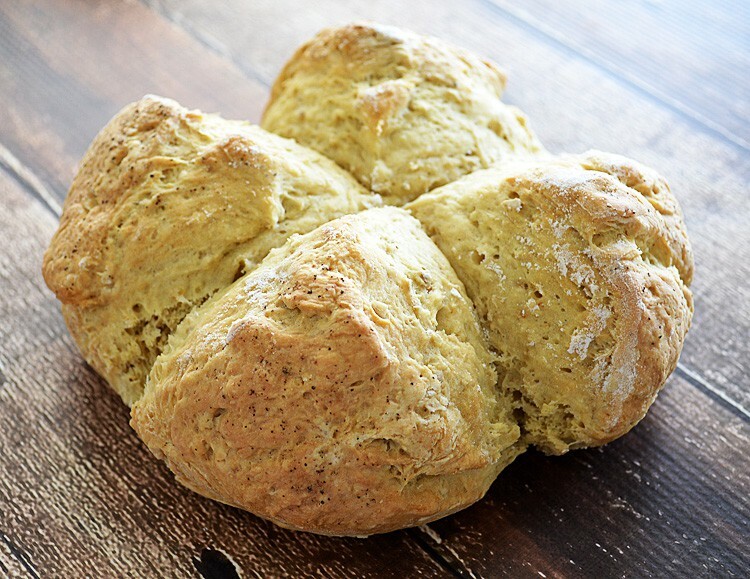 One of the biggest issues with traditional soda bread is that it uses buttermilk. Luckily, there is a very simple solution for us vegans. 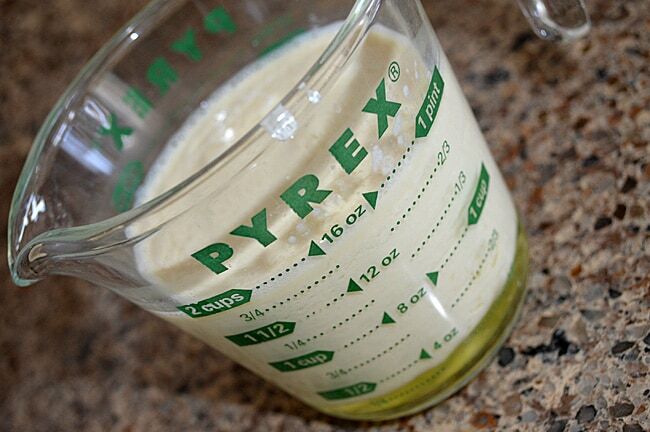 Into a glass measuring cup, place the almond (or soy) milk and the vinegar. It will foam and curdle. Don’t get nervous! This is what we are looking for. To create the properties of a true buttermilk. This will help the bread rise and lighten it a bit. While the buttermilk mixture is working it’s magic, mix together the dry ingredients until well combined. Add the cooled browned butter and the buttermilk mixture. DO NOT OVERMIX or your bread will become tough. 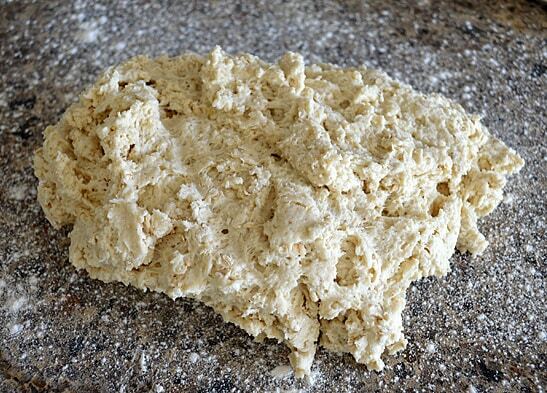 Turn dough out onto a lightly floured surface and knead a few times until it becomes smooth. 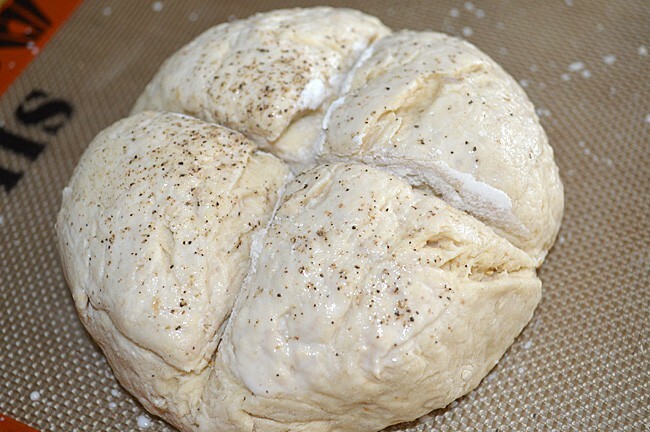 Place onto your baking sheet and with a very sharp knife, cut the traditional “x” into the dough, brush with a bit of almond milk (this would be the “egg” wash) and sprinkle with a bit of black pepper. Bake until golden and a toothpick inserted comes clean. 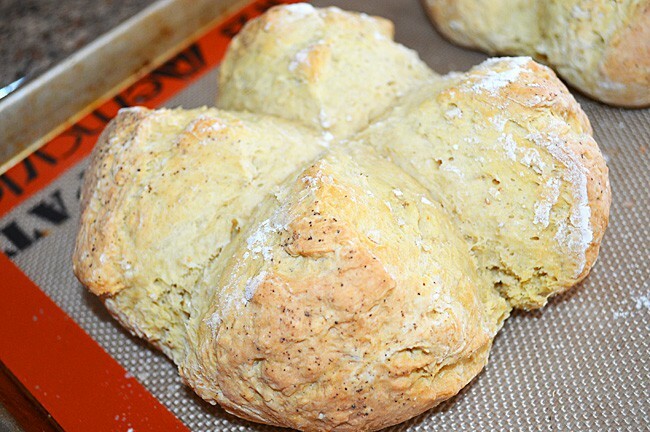 Pull apart the bread and serve warm or at room temperature. Equally yummy! 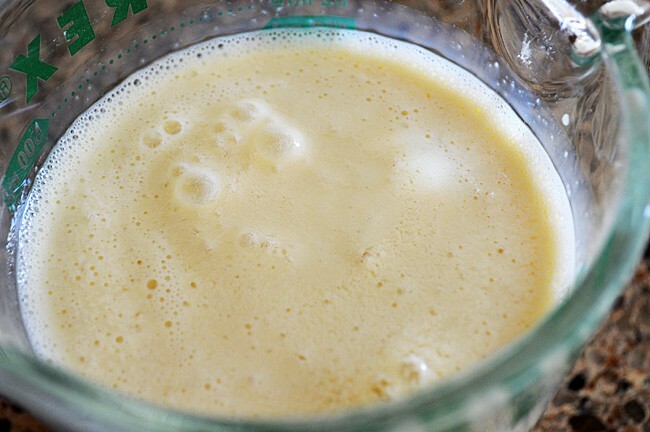 Place the almond milk and vinegar in a glass measuring cup and set the time for 5 minutes. 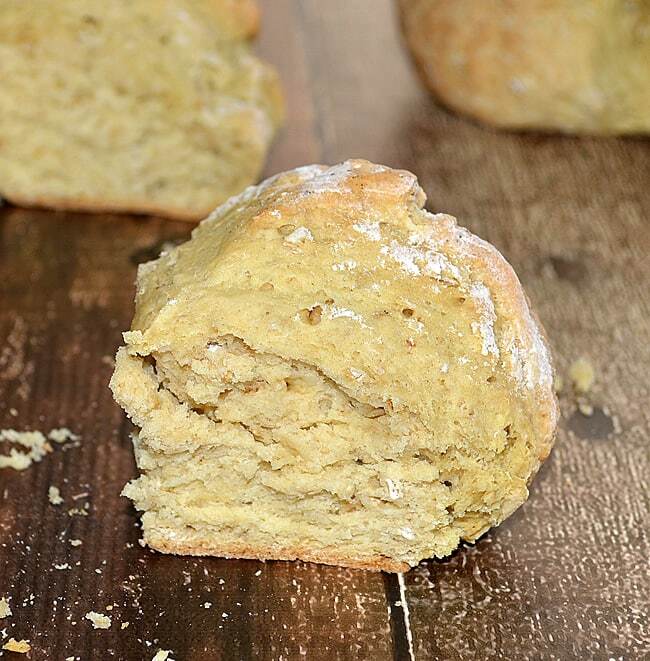 We are creating a vegan version of buttermilk for this recipe. You will see foaming and curdling. This is what we are looking for. 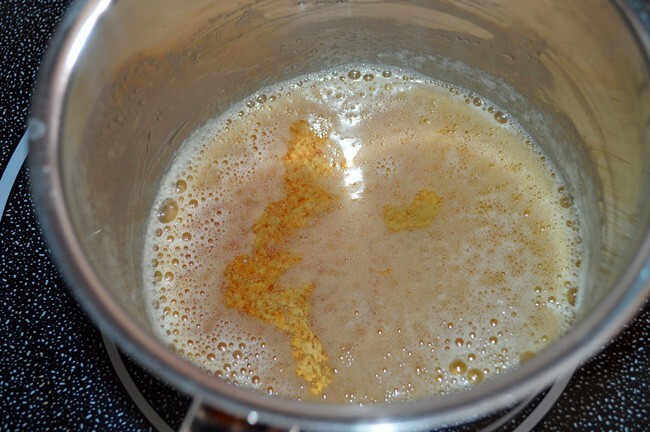 In a small sauce pan, heat the margarine over medium heat until it becomes golden brown. Be careful not to scorch it. 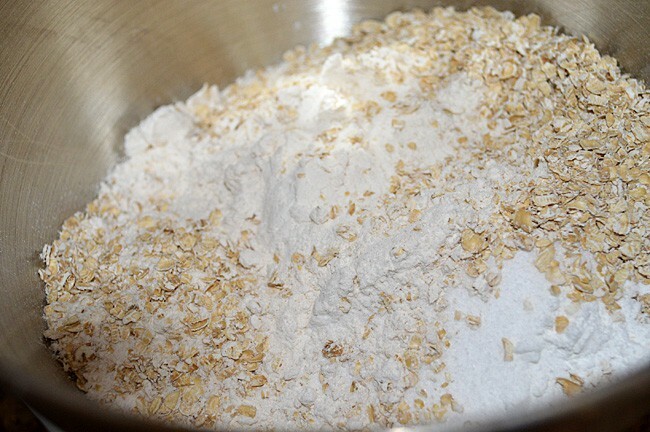 In the bowl of an electric mixer, add the flour, oats, sugar, baking powder, baking soda, salt and pepper. Combine. Then add the melted browned butter and the buttermilk mixture. DO NOT OVER MIX. The bread will be more tender the less you handle it. Turn the dough out onto a lightly floured surface and knead about 6 of 7 turns, just until it comes together and is smooth in appearance. Place on silpat or parchment lined baking sheet and brush with a small amount of almond milk. Top with a sprinkle of black pepper. Now, using a very sharp knife, slice a deep "X" in the top of the loaf. Bake until golden brown and a toothpick comes out clean, about 45 minutes. « New NAKED Cold Pressed Juices! 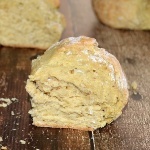 I used this recipe and despite the complications…. It was wonderful…..I use all your measurements correctly and the mixture looked like soup, so I added two more cups of flour and it looked more like the pictures….also my plant milk and apple cider vinegar mixture did not curdle but tasted like buttermilk….any suggestions at the amounts of the ingredients suggested ? Can I add raisins to the recipe??? This came out great. I should have left it in for five more minutes and next time I’ll add less salt and pepper. But even with my 2 year old “helping” me this was pretty good. Thanks. I was skeptabout how this would taste as well as turn out. Oh so delicious served warm with vegan butter! I didn’t have enough white flour so my recipe was half white flour and half whole wheat but I must say, it came out wonderful! Forty five minutes was way too long to bake. My bread was ready in about 30 minutes. 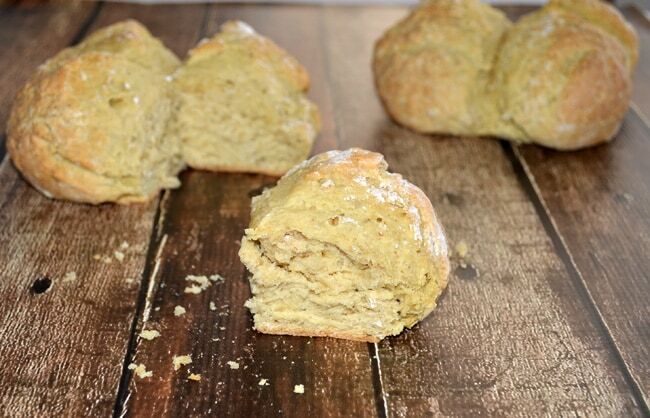 This will be my definite go to recipe when I’m craving this type of bread!